When Lions Roar begins in the mid-1930s at Chartwell, Winston Churchill's country estate, with new revelations surrounding a secret business deal orchestrated by Joseph P. Kennedy, the father of future American president John F. Kennedy, and soon to be American ambassador to Great Britain. From London to America, these two powerful families shared an ever-widening circle of friends, lovers, and political associates – soon shattered by World War II, spying, sexual infidelity, and the tragic deaths of JFK's sister Kathleen and his older brother Joe Jr. By the 1960s and JFK's presidency, the Churchills and the Kennedys had overcome their bitter differences and helped to define the “greatness” in each other. Acclaimed biographer Thomas Maier tells this dynastic saga through fathers and their sons – and the remarkable women in their lives – providing keen insight into the Churchill and Kennedy families and the profound forces of duty, loyalty, courage and ambition that shaped them. He explores the seismic impact of Winston Churchill on JFK and American policy, wrestling anew with the legacy of two titans of the 20th century. Maier also delves deeply into the conflicted bond between Winston and his son Randolph and the contrasting example of patriarch Joe Kennedy, a failed politician who successfully channeled his personal ambitions to his children. By approaching these iconic figures from a new perspective, Maier not only illuminates the intricacies of this all-important cross-Atlantic allegiance but also enriches our understanding of the tumultuous time in which they lived and the world events they so greatly influenced. 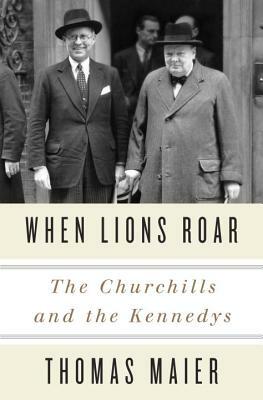 With deeply human portraits of these flawed but larger-than-life figures, When Lions Roar explores the “special relationship” between the Churchills and Kennedys, and between Great Britain and the United States, highlighting all of its emotional complexity and historic significance. No matter how beautiful some dreams are, there comes a time when we must let them go. It is the summer of 1972, and Katie has just turned eighteen. Katie and her town, Elephant Beach, are both on the verge: Katie of adulthood, and Elephant Beach of gentrification. But not yet: Elephant Beach is still gritty, working-class, close-knit. And Katie spends her time smoking and drinking with her friends, dreaming about a boy just back from Vietnam who’s still fighting a battle Katie can’t understand. In this poignant, evocative debut collection, Judy Chicurel creates a haunting, vivid world, where conflicts between mothers and daughters, men and women, soldiers and civilians and haves and have-nots reverberate to our own time. She captures not only a time and place, but the universal experience of being poised between the past and the future. Read a short interview with the author HERE. The Poky Little Puppy, the Gingerbread Man, and many other classic Golden Books characters help illustrate this wise and witty guide to the holidays! 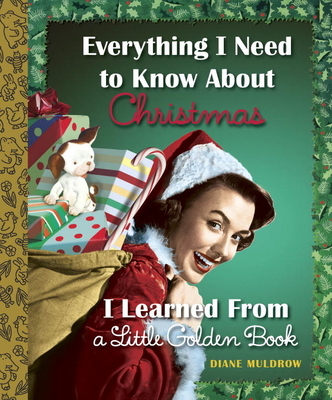 Delightfully retro yet utterly of the moment, this companion to the bestselling Everything I Need to Know I Learned From a Little Golden Book will delight fans of those gold foil-spined treasures. Featuring iconic art from Golden Books luminaries including Eloise Wilkin, Richard Scarry, J.P. Miller, Garth Williams, and more — this collection is a must for maintaining ever-important holiday cheer! 15 Awesome Bookish Jack O’Lanterns--Happy Halloween! 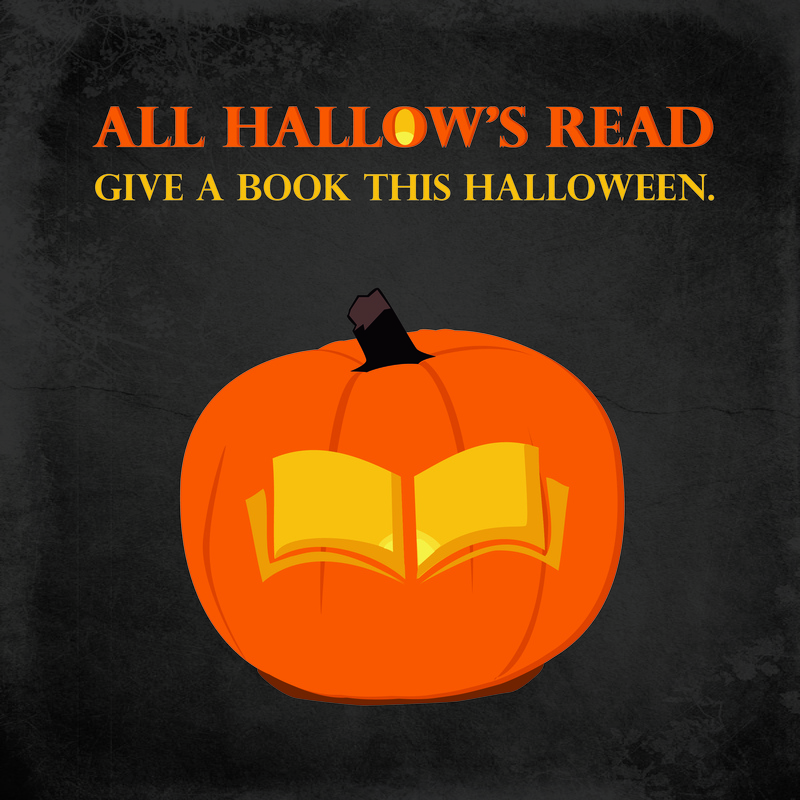 From our friends at BookRiot. 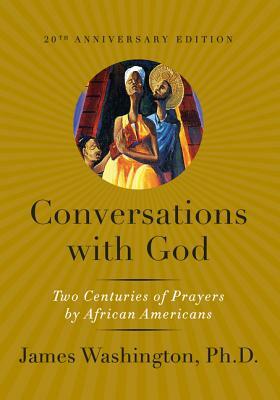 As powerful today as when it was first published, Conversations with God is an intimate spiritual journey and a tribute to the power of faith. Assembled from letters and writings that span more than two hundred years, these prayers form a one-of-a-kind volume that will inspire the spirit and warm the heart. Prayer brings us closer to God, and these moving writings are a reminder that faith has the power to transform. With words by W. E. B. Du Bois, Sojourner Truth, Frederick Douglass, Alice Walker, and many others, we come to recognize the significant role prayer has played in our survival. We see a glimpse of each author's dreams and fears, and their clear conviction that God hears, and responds, to our requests. At times a meditation on pain, at others a deep and affecting reflection of hope, these prayers are beacons of strength and inspiring lessons for our everyday lives. Comforting and passionate, Conversations with God is an enduring collection that is sure to be cherished by families and generations to come. A groundbreaking, in-depth exploration of the movement and flexibility of the human body, featuring 1,000 stunning black-and-white photographs that showcase the unique collaboration between international supermodel Coco Rocha, “The Queen of Pose,” and world-renowned photographer Steven Sebring. Supermodel Coco Rocha’s uncanny ability to strike distinctive, camera-ready poses at an astounding speed has earned her international fame throughout the fashion industry—and made her the muse of celebrated photographer Steven Sebring. In Study of Pose, Sebring and Rocha have documented 1,000 unique poses—theatrical, vibrant, elegant, dramatic, and unlike anything the fashion or art worlds have seen before. Study of Pose features Rocha in a simple white leotard—bending, jumping, sitting, standing, and everything in between. The result is a gorgeous and arresting look at the potential of the human form. Packaged in a beautiful black case with two black satin bookmarks and a four-color bellyband with French folds, Study of Pose is sure to become an essential reference for Rocha’s millions of fans around the world, as well as all models, artists, photographers, and lovers of art and fashion. 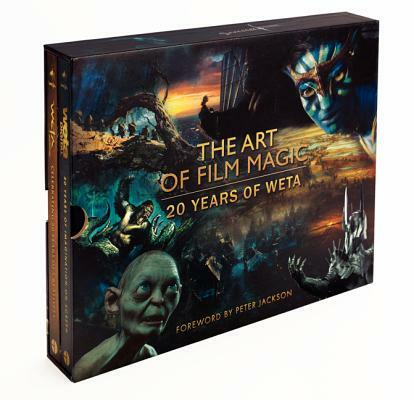 This deluxe slipcased two-volume set is an insider's tour of twenty years of film-making magic at Weta Workshop and Weta Digital, the creative companies behind such celebrated films as The Lord of the Rings, Avatar, The Avengers, King Kong, District 9 and The Hobbit. Brimming with never-before-published content, including concept designs, sketches, making of and behind-the-scenes imagery, along with interview material from cast and crew members, it is a stunning look at how the costumes, creatures and characters, weaponry, and visual effects are created for some of the world's most iconic films. A director will have a vision in their head of the kind of movie they want to create but they always need great teams to realise that vision. This is what Weta Workshop and Weta Digital do. Based in Wellington, New Zealand, these two companies, founded by Peter Jackson, Jamie Selkirk, Tania Rodger and Richard Taylor have been an integral part of some of the most ground-breaking and acclaimed movies of all time. There is a mysterious, indescribable, complex exchange that can happen in the space between you and your partner. You find each other. Your centers of gravity expand as your lives become more and more entwined. You create space for this other person to thrive while they’re doing the same for you. This creates a flow of energy in the space between you. This energy field is at the heart of marriage. It flows in the space between you, space that exists nowhere else in the universe. You can become more familiar with how this energy field works. You can develop language between you to identify what’s happening in the space between you. You can sharpen your abilities to assess it. You can act in certain ways to increase the flow. You can identify what’s blocking the flow, and then you can overcome those barriers. Years into your marriage, you can continue to intensify this energetic flow between you. It is risky to give yourself to another. There are no guarantees, and there are lots of ways for it to fall apart and break your heart. But the upside is infinite. 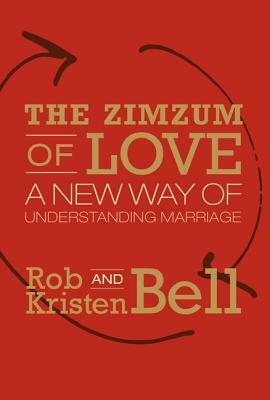 New York Times bestselling author Rob Bell and his wife, Kristen Bell, explore a whole new way of understanding our most intimate and powerful relationship: marriage. The concepts behind The Zimzum of Love open ways for us to transform and deepen how we love. We'd get to hang out with Amy Poehler, watching dumb movies, listening to music, and swapping tales about our coworkers and difficult childhoods. Because in a perfect world, we'd all be friends with Amy--someone who seems so fun, is full of interesting stories, tells great jokes, and offers plenty of advice and wisdom (the useful kind, not the annoying kind you didn't ask for, anyway). 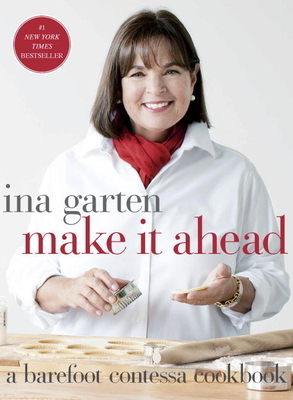 Unfortunately, between her Golden Globe-winning role on Parks and Recreation, work as a producer and director, place as one of the most beloved SNL alumni and cofounder of the "Upright Citizens' Brigade", involvement with the website Smart Girls at the Party, frequent turns as acting double for Meryl Streep, and her other gig as the mom of two young sons, she's not available for movie night. For years, world governments and multinational organizations, like the secretive UNIT, have labored to keep the truth about aliens hidden from the public. Now, leading alientologist Justin Richards finally blows the lid off one of the biggest conspiracies since the Scarlioni Incident. Doctor Who: The Secret Lives of Monsters not only proves that alien life exists but also that the aliens are already here living among us. Based on exclusive access to classified UNIT and Torchwood files, and collating top secret information that has been kept buried for centuries, Richards reveals the terrifying truth behind the rumors and legends. Why is the Sontaran's probic vent his weak point and what is its actual use? How do the Daleks reproduce? How can you tell whether your best friend is a Zygon in disguise? If you want answers to questions like these, then this book is a must have. 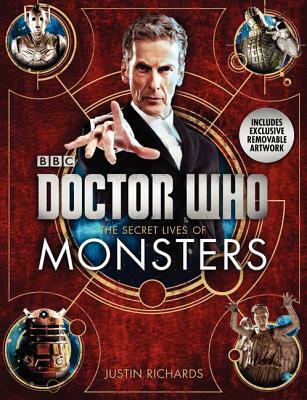 Including sixteen removable features, Doctor Who: The Secret Lives of Monsters teaches you how to recognize these hidden extraterrestrials around us and is the essential guidebook for surviving the coming invasion. David Nicholls brings the wit and intelligence that graced his enormously popular New York Times bestseller, One Day, to a compellingly human, deftly funny new novel about what holds marriages and families together--and what happens, and what we learn about ourselves, when everything threatens to fall apart. The timing couldn't be worse. Hoping to encourage her son's artistic interests, Connie has planned a month-long tour of European capitals, a chance to experience the world's greatest works of art as a family, and she can't bring herself to cancel. And maybe going ahead with the original plan is for the best anyway? 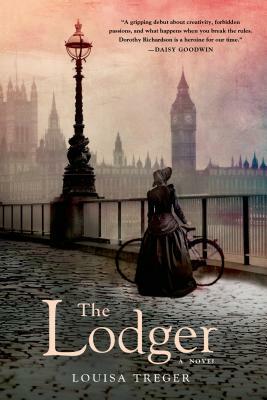 Douglas is privately convinced that this landmark trip will rekindle the romance in the marriage, and might even help him to bond with Albie. 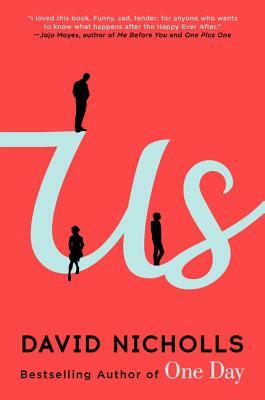 Narrated from Douglas's endearingly honest, slyly witty, and at times achingly optimistic point of view, Us is the story of a man trying to rescue his relationship with the woman he loves, and learning how to get closer to a son who's always felt like a stranger. Us is a moving meditation on the demands of marriage and parenthood, the regrets of abandoning youth for middle age, and the intricate relationship between the heart and the head. And in David Nicholls's gifted hands, Douglas's odyssey brings Europe--from the streets of Amsterdam to the famed museums of Paris, from the cafes of Venice to the beaches of Barcelona--to vivid life just as he experiences a powerful awakening of his own. Will this summer be his last as a husband, or the moment when he turns his marriage, and maybe even his whole life, around? 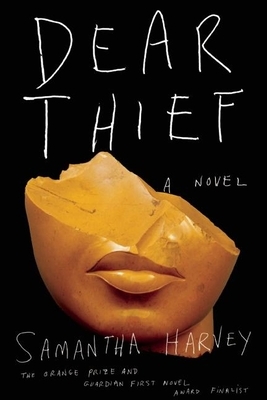 "You were going to work your way into my marriage and you were going to call its new three-way shape holy," writes the unnamed narrator of Dear Thief. "Sometimes I imagine, out of sheer playfulness, that I am writing this as a kind of defense for having murdered and buried you under the patio." "While I write my spare hand might be doing anything for all you know; it might be driving a pin into your voodoo stomach." Read "10 Questions: Samantha Harvey" HERE. Some writing advice for other authors HERE. 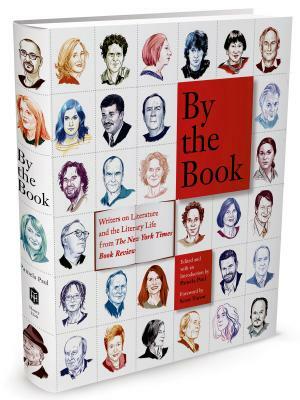 Every Sunday, readers of The New York Times Book Review turn with anticipation to see which novelist, historian, short story writer, or artist will be the subject of the popular "By the Book" feature. These wide-ranging interviews are conducted by Pamela Paul, the editor of the Book Review, and here she brings together sixty-five of the most intriguing and fascinating exchanges, featuring personalities as varied as David Sedaris, Hilary Mantel, Michael Chabon, Khaled Hosseini, Anne Lamott, and James Patterson. 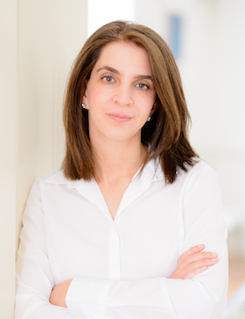 The questions and answers admit us into the private worlds of these authors, as they reflect on their work habits, reading preferences, inspirations, pet peeves, and recommendations. By the Book contains the full uncut interviews, offering a range of experiences and observations that deepens readers’ understanding of the literary sensibility and the writing process. It also features dozens of sidebars that reveal the commonalities and conflicts among the participants, underscoring those influences that are truly universal and those that remain matters of individual taste. For the devoted reader, By the Book is a way to invite sixty-five of the most interesting guests into your world. It’s a book party not to be missed. Ten years ago, Craig Johnson wrote his first short story, the Hillerman Award–winning “Old Indian Trick.” This was one of the earliest appearances of the sheriff who would go on to star in Johnson’s bestselling, award-winning novels and the A&E hit series Longmire. Each Christmas Eve thereafter, fans rejoiced when Johnson sent out a new short story featuring an episode in Walt’s life that doesn’t appear in the novels; over the years, many have asked why they can’t buy the stories in book form. 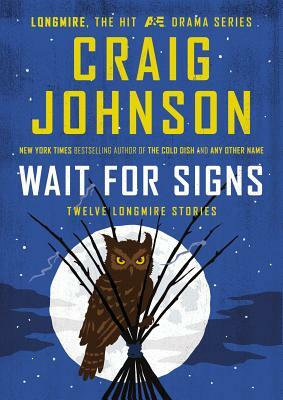 Wait for Signs collects those beloved stories—and one entirely new story, “Petunia, Bandit Queen of the Bighorns”—for the very first time in a single volume, regular trade hardcover. With glimpses of Walt’s past from the incident in “Ministerial Aide,” when the sheriff is mistaken for a deity, to the hilarious “Messenger,” where the majority of the action takes place in a Port-A-Potty, Wait for Signs is a necessary addition to any Longmire fan’s shelf and a wonderful way to introduce new readers to the fictional world of Absaroka County, Wyoming. Ties That Bind honors the people who nourish and strengthen us. StoryCorps founder Dave Isay draws from ten years of the revolutionary oral history project’s rich archives, collecting conversations that celebrate the power of the human bond and capture the moment at which individuals become family. Between blood relations, friends, coworkers, and neighbors, in the most trying circumstances and in the unlikeliest of places, enduring connections are formed and lives are forever changed. The stories shared in Ties That Bind reveal our need to reach out, to support, and to share life’s burdens and joys. We meet two brothers, separately cast out by their parents, who reconnect and rebuild a new family around each other. We encounter unexpected joy: A gay woman reveals to her beloved granddaughter that she grew up believing that family was a happiness she would never be able to experience. We witness lifechanging friendship: An Iraq war veteran recalls his wartime bond with two local children and how his relationship with his wife helped him overcome the trauma of losing them. Against unspeakable odds, at their most desperate moments, the individuals we meet in Ties That Bind find their way to one another, discovering hope and healing. 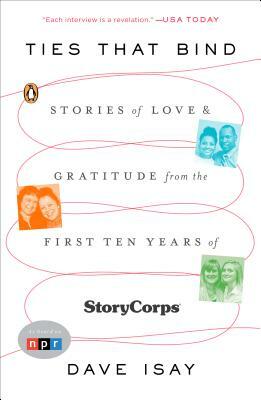 Commemorating ten years of StoryCorps, the conversations collected in Ties That Bind are a testament to the transformational power of listening. On May 20, 2010, headlines around the world announced one of the most extraordinary accomplishments in modern science: the creation of the world’s first synthetic lifeform. 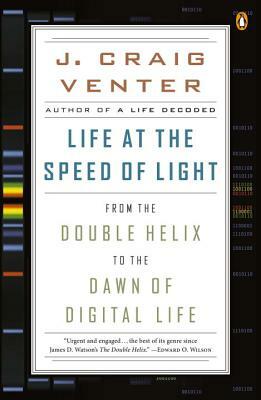 In Life at the Speed of Light, scientist J. Craig Venter, best known for sequencing the human genome, shares the dramatic account of how he led a team of researchers in this pioneering effort in synthetic genomics—and how that work will have a profound impact on our existence in the years to come. This is a fascinating and authoritative study that provides readers an opportunity to ponder afresh the age-old question “What is life?” at the dawn of a new era of biological engineering. 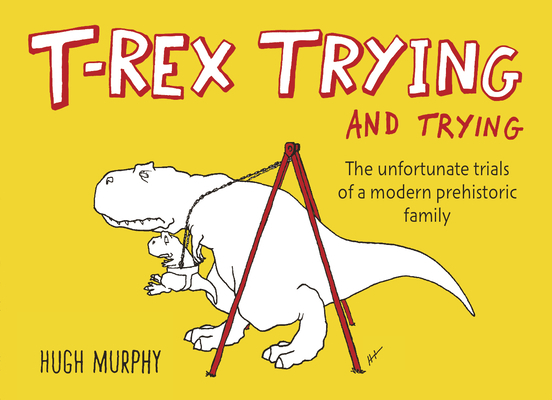 Thousands of fans fell for Hugh Murphy’s first book, T-Rex Trying, which featured T-Rex trying and failing to do everyday tasks, from putting on a cardigan to jumping rope. In T-Rex Trying and Trying, the loveable lizard king is back . . . this time with his family, She-Rex and Wee-Rex. • T-Rex trying to take a selfie • She-Rex trying to catch a bouquet at a wedding • T-Rex trying to change a diaper • T-Rex trying to tell people he’s choking • Wee-Rex trying to crawl • T-Rex trying to measure his inseam • and many, many more! 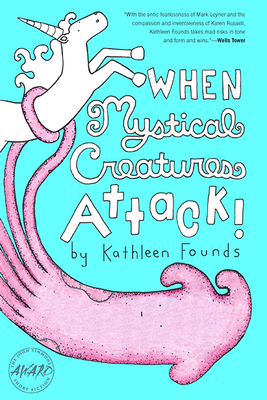 An adorable and hilarious book, this is the perfect gift for readers of all ages. 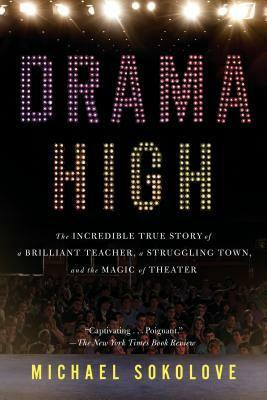 Friday Night Lights meets Glee—the incredible and true story of an extraordinary drama teacher who has changed the lives of thousands of students and inspired a town. To see the show performed by the astoundingly successful theater company at Harry S Truman High School, run by its legendary director, Lou Volpe. Broadway turns to Truman High when trying out controversial shows such as Rent and Spring Awakening before they move on to high school theater programs across the nation. Volpe’s students from this blue-collar town go on to become Emmy-winning producers, entertainment executives, newscasters, and community-theater founders. Michael Sokolove, a Levittown native and former student of Volpe’s, chronicles the drama director’s last school years and follows a group of student actors as they work through riveting dramas both on and off the stage. This is a story of an economically depressed but proud town finding hope in a gifted teacher and the magic of theater. What kind of world would you like to inhabit? To imagine something different, better, or more interesting is to push the existing world into a state of change. Some of the greatest revolutionary acts of our time came to be because someone had the courage to imagine something new. 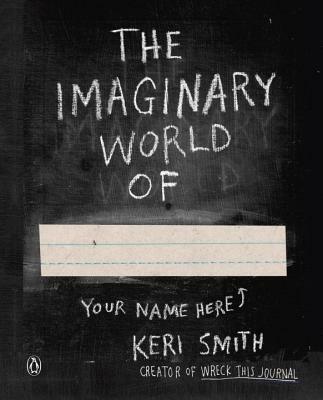 An indispensable guide for artists, dreamers, activists, and kids of all ages, The Imaginary World of… will encourage readers to become revolutionaries of everyday life, chronicling the possibilities in the brave new worlds they envision. 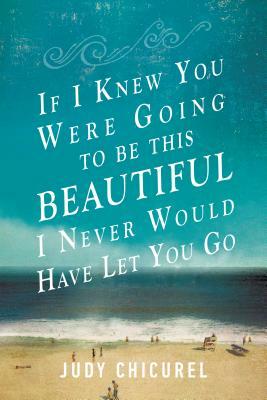 One woman’s journey to find the lost love her grandfather left behind when he fled pre-World War II Europe, and an exploration into family identity, myth, and memory. 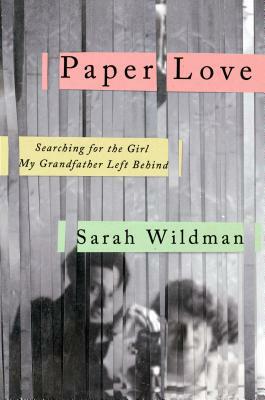 Years after her grandfather’s death, journalist Sarah Wildman stumbled upon a cache of his letters in a file labeled “Correspondence: Patients A–G.” What she found inside weren’t dry medical histories; instead what was written opened a path into the destroyed world that was her family’s prewar Vienna. One woman’s letters stood out: those from Valy—Valerie Scheftel. Her grandfather’s lover who had remained behind when he fled Europe six months after the Nazis annexed Austria. Valy’s name wasn’t unknown to her—Wildman had once asked her grandmother about a dark-haired young woman whose images she found in an old photo album. “She was your grandfather’s true love,” her grandmother said at the time, and refused any other questions. But now, with the help of the letters, Wildman started to piece together Valy’s story. They revealed a woman desparate to escape and clinging to the memory of a love that defined her years of freedom. 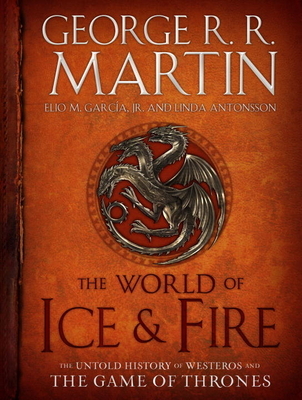 Obsessed with Valy’s story, Wildman began a quest that lasted years and spanned continents. She discovered, to her shock, an entire world of other people searching for the same woman. On in the course of discovering Valy’s ultimate fate, she was forced to reexamine the story of her grandfather’s triumphant escape and how this history fit within her own life and in the process, she rescues a life seemingly lost to history. Read an Q&A with the author HERE. Listen to a pod cast with the author HERE. 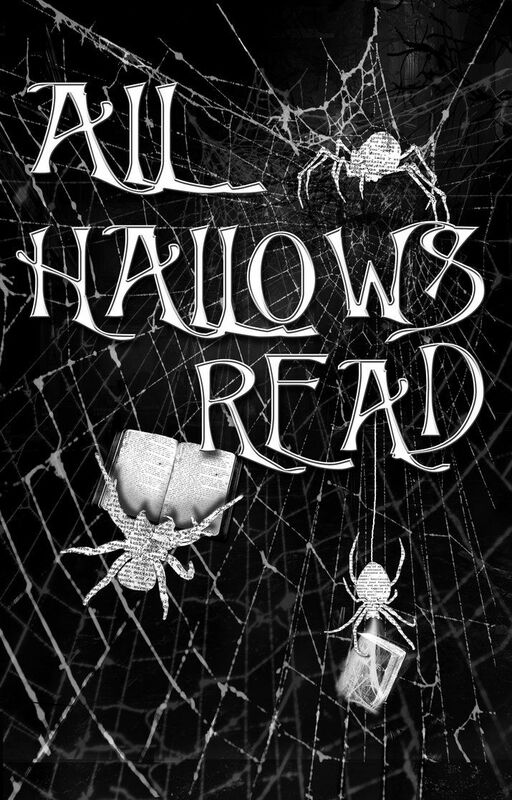 Are You Ready for All Hallow's Read? 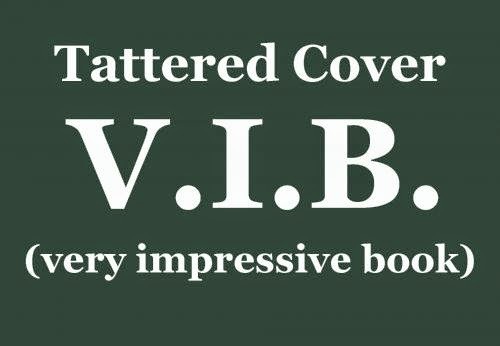 Every now and then we encounter a new book that we’re so excited about we want to shout it from the rooftops, so we've created a special tag to distinguish it from the rest: TC VIB (very impressive book)! That means it’s a true stand-out in a season of many excellent and compelling new books. 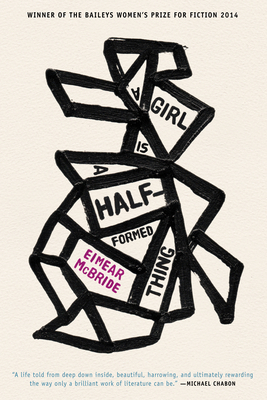 Eimear McBride's acclaimed debut tells the story of a young woman's relationship with her brother, and the long shadow cast by his childhood brain tumor, touching on everything from family violence to sexuality and the personal struggle to remain intact in times of intense trauma. Eimear McBride was born in 1976 and grew up in Ireland. At twenty-seven she wrote A Girl is a Half-formed Thing and spent the next nine years trying to have it published. Demons and Dragons, Oh My! "My name's Henry Dudlow. I'm fifteen and a half. And I'm cursed. Or damned. Take your pick. The reason? I see demons." So begins the latest novel by horror master Dave Zeltserman. The setting is quiet Newton, Massachussetts, where nothing ever happens. Nothing, that is, until two months after Henry Dudlow's 13th birthday, when his neighbor, Mr. Hanley, suddenly starts to look . . . different. While everyone else sees a balding man with a beer belly, Henry suddenly sees a nasty, bilious, rage-filled demon. Once Henry catches onto the real Mr. Hanley, he starts to see demons all around him, and his boring, adolescent life is transformed. 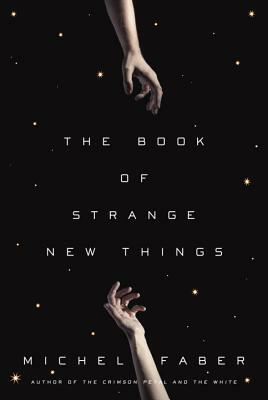 There's no more time for friends or sports or the lovely Sally Freeman--instead Henry must work his way through ancient texts and hunt down the demons before they steal any more innocent children. And if hunting demons is hard at any age, it's borderline impossible when your parents are on your case, and your grades are getting worse, and you can't tell anyone about your chosen mission. 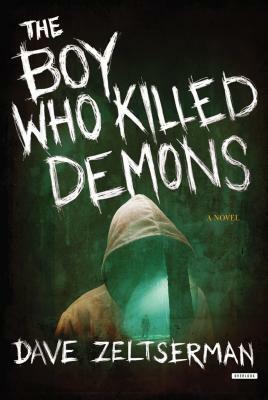 A very scary novel written with verve and flashes of great humor, The Boy Who Killed Demons is Dave Zeltserman's most accomplished and entertaining horror novel yet. 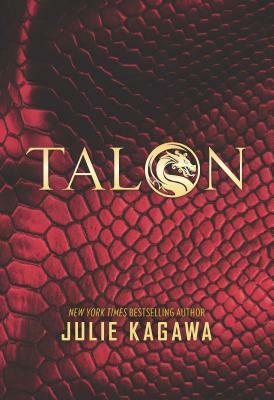 Soldier Garret Xavier Sebastian has a mission to seek and destroy all dragons, and Talon's newest recruits in particular. But he cannot kill unless he is certain he has found his prey--and nothing is certain about Ember Hill. Faced with Ember's bravery, confidence and all-too-human desires, Garret begins to question everything that the Order has ingrained in him--and what he might be willing to give up to find the truth about dragons. "This novella is gem of great workmanship. It’s a song, it sings from the page: melancholy, joyful, dark, strange and fascinating. The character of Auri is unique in my reading experience. We feel the apprehension and triumphs as she carefully navigates the often sinister halls of her subterranean world. Mysterious and mystical, lyrical and lilting, innocent and worldly wise, the prose reads like poetry in this lovely ballad of balance, peril, hope and love. 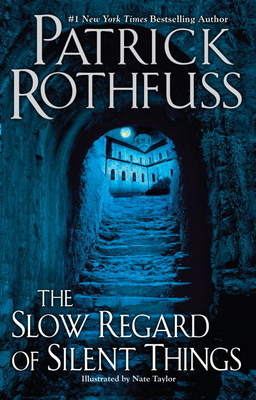 Fans of Patrick Rothfuss will not be disappointed, I think, in this extraordinary work of bright imagination." 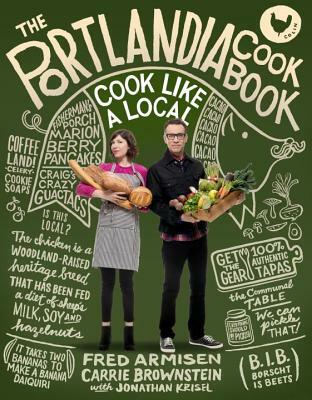 How Can You Possible NOT Want This Book? 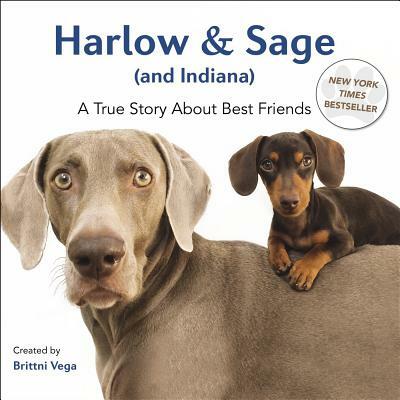 Once upon a time, Harlow’s best friend was her older sister, Sage, a thoughtful and loving miniature Dachshund. 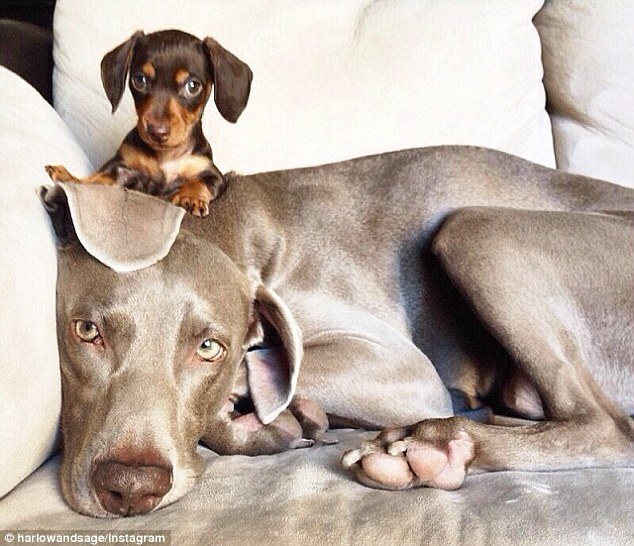 Harlow and Sage had a shared love for many things, including Christmas presents and the legendary Meryl Streep. 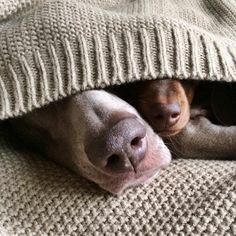 They played together, cuddled together, and shared their deepest secrets, until September 2013, when, sadly, it was Sage’s time to retire to the doggie palace in the sky. 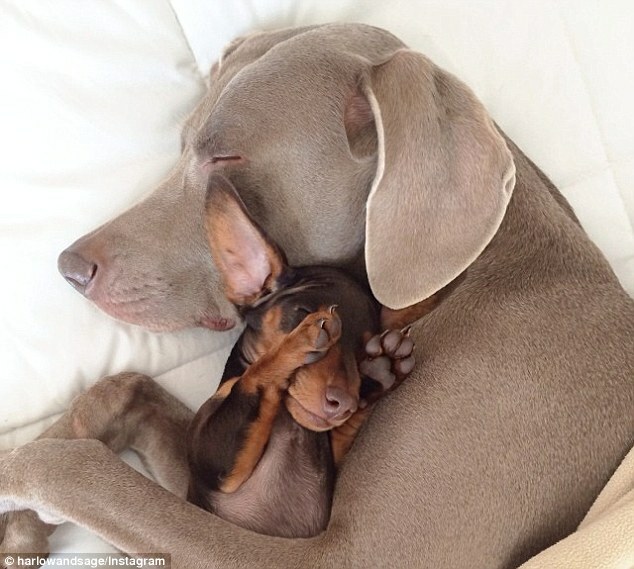 Shortly after Sage’s passing, Harlow’s parents came home with Indiana, a Dachshund puppy with a killer sense of humor. It took a little getting used to, but after a few months of showing Indiana the ropes, Harlow began to recognize that a new adventure was about to unfold. Is The Book of Mormon the Great American Novel? Decades before Melville and Twain composed their great works, a farmhand and child seer named Joseph Smith unearthed a long-buried book from a haunted hill in western New York State that told of an epic history of ancient America, a story about a family that fled biblical Jerusalem and took a boat to the New World. Using his prophetic gift, Joseph translated the mysterious book into English and published it under the title The Book of Mormon. The book caused an immediate sensation, sparking anger and violence, boycotts and jealousy, curiosity and wonder, and launched Joseph on a wild, decades-long adventure across the American West. Today The Book of Mormon, one of the most widely circulating works of American literature, continues to cause controversy—which is why most of us know very little about the story it tells. Avi Steinberg wants to change that. A fascinated nonbeliever, Steinberg spent a year and a half on a personal quest, traveling the path laid out by Joseph’s epic. Starting in Jerusalem, where The Book of Mormon opens with a bloody murder, Steinberg continued to the ruined Maya cities of Central America—the setting for most of the The Book of Mormon’s ancient story—where he gallivanted with a boisterous bus tour of believers exploring Maya archaeological sites for evidence. From there the journey took him to upstate New York, where he participated in the true Book of Mormon musical, the annual Hill Cumorah Pageant. And finally Steinberg arrived at the center of the American continent, Jackson County, Missouri, the spot Smith identified as none other than the site of the Garden of Eden. Threaded through this quirky travelogue is an argument for taking The Book of Mormon seriously as a work of American imagination. 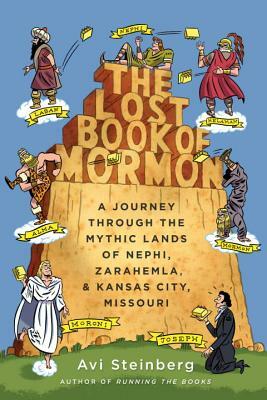 Literate and funny, personal and provocative, the genre-bending The Lost Book of Mormon boldly explores our deeply human impulse to write bibles and discovers the abiding power of story. A hilarious and informative primer on the most urgent issues of our day, from the creators and co-hosts of "Citizen Radio," a 100% listener-supported show whose slogan is "independent radio that won't lead you to war." 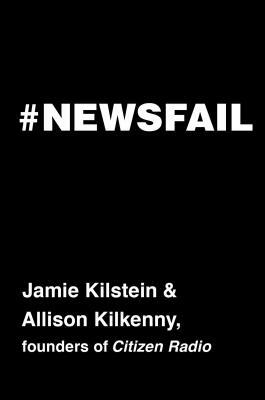 #Newsfail is not your grandmother's comedic-memoir-slash-political-manifesto. From page one (in a preface titled, "In Which the Authors Interview Ralph Nader in the Bathtub"), comedian Jamie Kilstein and journalist Allison Kilkenny pledge to give you the news like you've never gotten it before. On issues ranging from feminism to gun control, climate change to class war, foreign policy to net neutrality, they tell you how the mainstream media gets it left, right, and utterly, unforgivably, irresponsibly wrong--think Noam Chomsky as channeled by Fred and Carrie from "Portlandia." #Newsfail is all this, plus the story of Allison and Jamie's own DIY foray into independent media via their podcast, "Citizen Radio," which has featured guests such as Jeremy Scahill, Sarah Silverman, Glenn Greenwald, and Neil deGrasse Tyson, and been downloaded millions of times by people all over the world. Their mission is truth-telling above brainwashing. All you have to do is listen. What is it about Yellowstone National Park that draws millions of visitors from all over the world? If you've visited Yellowstone, you should already know the answer. If you've never visited--or you have, but still don't know the answer--Michael Leach explains it to you in his book of essays, Grizzlies On My Mind. Leach is a Yellowstone insider with unmatched passion for this nation's first national park. At the age of twenty-two, Leach's dream of becoming a Yellowstone ranger came true. It wasn't long before he'd earned the nickname "Rev" for his powerful Yellowstone "sermons." In Grizzlies on My Mind, Leach shares his love for Yellowstone--its landscapes and wildlife, especially its iconic bison and grizzlies--as he tells tales that will delight anyone interested in the national park system, wildlife and wild landscapes, rivers and adventure. Heartwarming and heartbreaking stories of human lives lost, efforts to save a black bear cub, a famous wolf who helped Leach through some dark personal days, the unique and oftentimes humorous Yellowstone "culture," backpacking trips that nearly ended in disaster, and Leach's spiritual journey with his Assiniboine-Gros Ventre "brother" fill the pages--and the reader's heart. 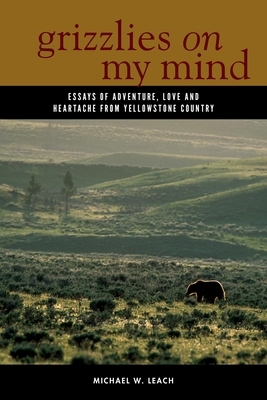 If you've never been charged by an elk, traveled solo at dawn across Yellowstone's frigid interior (working your way slowly through a herd of peaceful bison in the process), or lain awake in a backcountry tent, listening for the spine-tingling breaths of a curious grizzly--but you crave such experiences, Grizzlies on My Mind is the book for you. 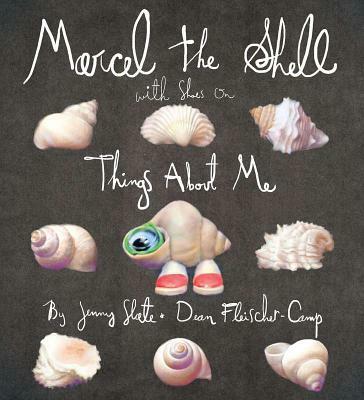 Have You Met Marcel the Shell? He's A Big Deal These Days. One thing about a new day--you really never know where it will go, even if you know where it starts. 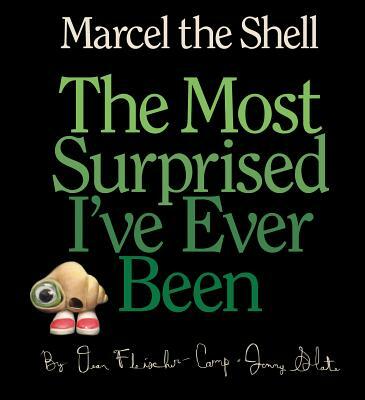 Marcel the Shell with Shoes On is walking on the blanket when he is unexpectedly launched high into the air. Tumbling through space, the bird's-eye view offers our small friend not only a glimpse of the important things in life--his beloved Nana who sleeps in a fancy French bread, a stinky shoe, and a monstrous baby--but also a much bigger picture. Sometimes the most wonderful discoveries are the ones we least expect. From wearing a lentil as a hat to hang-gliding on a Dorito, Marcel is able to find magic in the everyday. He may be small, but he knows he has a lot of good qualities. He may not be able to lift anything by himself, but when he needs help, he calls upon his family. He may never be able own a real dog . . . but he has a pretty awesome imagination. Learn more about Jenny Slate HERE. 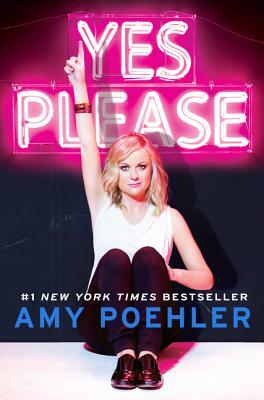 Read the author's top five feminist characters HERE. Listen to a chat with the author HERE. LIFE Magzine is where the nation first learned about the Wizard of Oz and its soon-to-be starlet Judy Garland, a dear friend of LIFE's. Seventy-five years after the debut of the classic movie, this heavily-illustrated volume revisits all of the behind-the-scenes photography of the film shoot, wonderful shots from from the Culver City set, and also of the music being recorded, and intimate pictures of the stars and their families. In addition, this book will uncover photography of the events that most fans don't know about; for instance, Judy Garland and her friend and regular co-star Mickey Rooney performed live on stage after evening performances in New York City for the first three weeks of the movie's run. The volume may also include commentary by TIME movie critic Richard Corliss and other renowned friends of LIFE. LIFE will give its authoritative take on a national classic, not only covering the history of the movie, but also exploring the legends, lore and also the affect of the movie on the nation's film industry and culture (it was one of the first color films). This volume will be as fun and informative as it is lavishly illustrated. You’ve reached the intersection where Park Place meets the Yellow Brick Road… so grab your friends and family, click your heels three times and return to the magical land of Oz. You’ll know you’re not in Kansas anymore with the world-famous MONOPOLY game. Follow the Yellow Brick Road as you buy, sell and trade your favorite locations in the movie from Home Sweet Home, the Emerald City and the Witch’s Castle to the Haunted Forest, Poppy Fields and the Apple Orchard. It’s your turn to have your wish granted, the MONOPOLY way! Game includes 6 collectible pewter tokens - Dorothy & Toto, Scarecrow, Cowardly Lion, Tin Man, Tornado and the Ruby Slippers. A brand new Mad Libs featuring 21 stories inspired by the classic film "The Wizard of Oz." 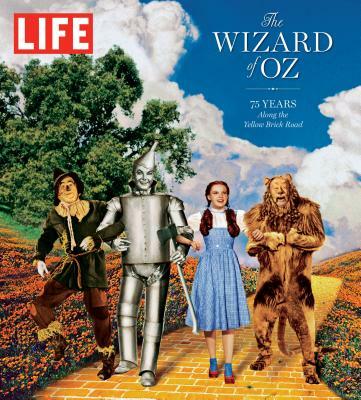 The Wonderful Wizard of Oz is the quintessential American fairy tale. Michael Patrick Hearn, the world's leading Oz scholar, now provides a fascinating new annotation that not only reacquaints readers with the Tin Woodman, Scarecrow, and Cowardly Lion, but also illuminates the colorful background of this treasured American classic. 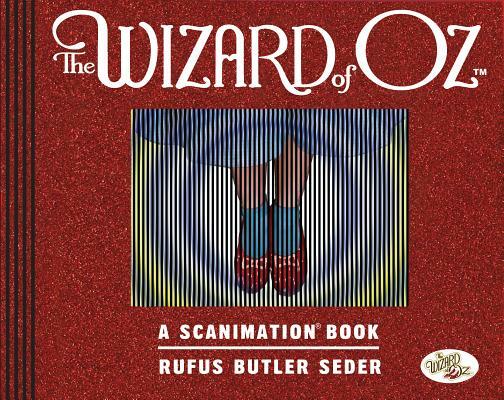 This edition explores numerous contemporary references, provides character sources, and explains the actual meaning of the word "Oz." A facsimile of the rare 1900 first edition appears with the original drawings by W.W. Denslow, as well as 25 previously unpublished illustrations. 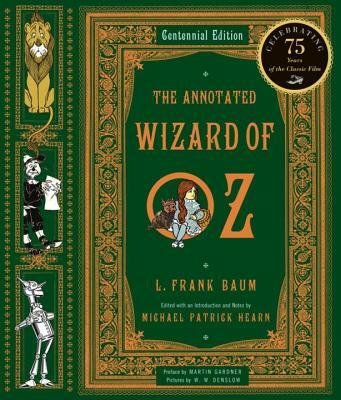 There is a bibliography of L. Frank Baum's published work, every notable "Oz" edition, and the stage and cinematic productions from 1939's The Wizard of Oz, to the 1974 Broadway hit, The Wiz. A beautiful, awe-inspiring work, ?The Annotated Wizard of Oz? 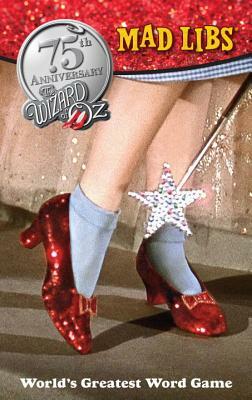 is an enduring tribute to the timeless joy of ?The Wizard of Oz?, and a classic to rival Baum's own. 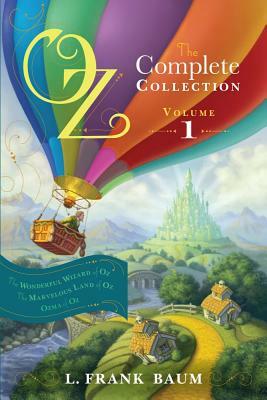 Discover the marvelous land of Oz in this collection of the first three books in L. Frank Baum’s classic American fairy tale series. The first three books of the iconic Oz series, now in one collection! In The Wonderful Wizard of Oz, Dorothy and her dog, Toto, find themselves in a strange land called Oz after their Kansas house is swept away by a cyclone. Here they meet the Munchkins and join the Scarecrow, Tin Woodman, and the Cowardly Lion on an unforgettable journey to the Emerald City, where the all-powerful Wizard of Oz lives. Can he help Dorothy return home? In The Marvelous Land of Oz, a young boy named Tip escapes from a witch and sets out to explore land of Oz. Along the way, he meets the Scarecrow and Tin Woodman, as well as some new friends like Jack Pumpkinhead and the Wooden Sawhorse. Eventually, Tip’s journey takes him to the Emerald City, where he realizes that his life will be changed forever. In Ozma of Oz, Dorothy is sailing to Australia when a huge storm washes her overboard. She only survives by clinging to a chicken crate. Eventually she and a yellow hen named Billina wash up on the magic shore of Ev where they meet the mechanical man Tik Tok. But Dorothy and Billina are taken prisoner by the evil Nome King who has captured the royal family of Ev. Only Ozma of Oz can save them, but will she be in time? *A glittering, ruby-red cover is the final, delectable touch. Attention Parents! This Is Really A Book For YOU! It May Not Have Pictures, But It Sure Is Funny! Fresh Ink: LeVar Burton's First Book!!!! !